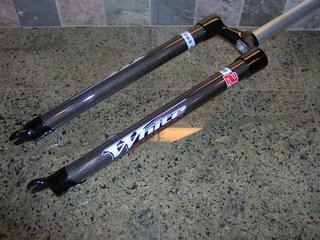 Here are pics of the new White Brothers Rock Solid rigid carbon fork. This baby will be mounted to a new singlespeed design in progress. 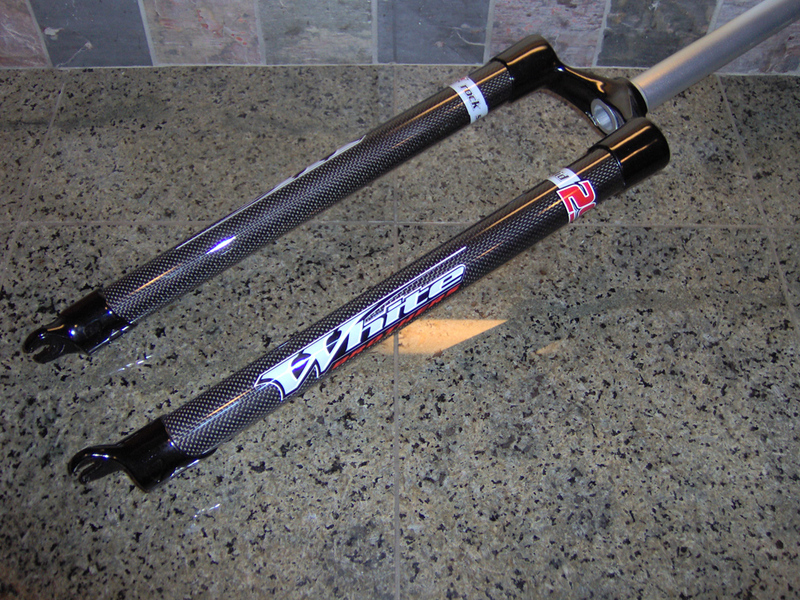 Stiffness is achieved with 34mm carbon stanchion tubes...don't forget it's only 1.7 lbs w/uncut steertube!